… if you are really bad at guessing things because Yuengling is No. 1, which you probably knew. Oh, sorry — was that misleading? My bad, but hey, at least this isn’t all #fakenews. The actual top 50 craft breweries for 2016 are listed below. Yes, the Brewers Association (BA), the not-for-profit trade group representing small and independent craft brewers, released its annual lists of the Top 50 craft and overall brewing companies in the United States, based on beer sales volume. 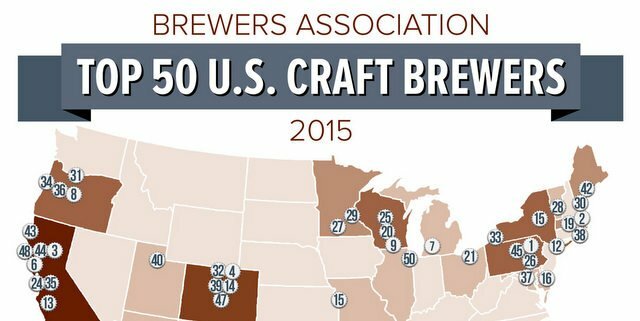 Of the top 50 overall brewing companies, 40 were craft brewing companies. Is Lagunitas not considered a craft brewer? ?